76 B, James Bourchier Blvd. 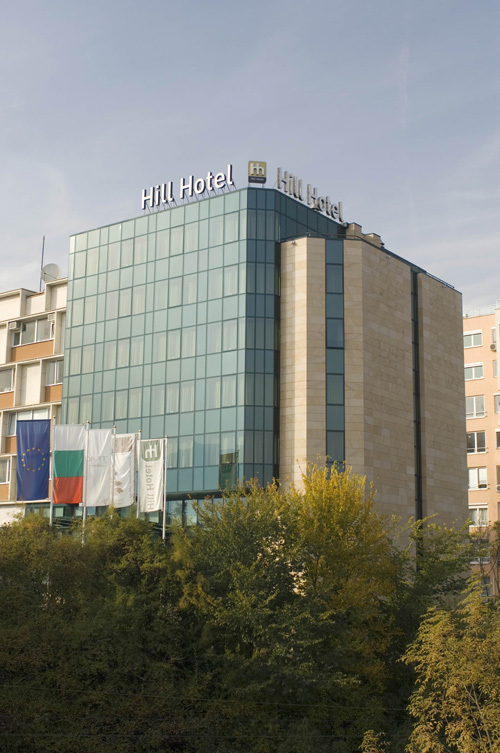 Hill Hotel is the newest business hotel in Sofia, part of the FPI Hotels & Resorts chain. Its location is in one of the most elite regions in Sofia right next to the new business building of the FPI – Hill Tower. Laying on the highest hill in the city Hill Hotel has a wonderful view to the Sofia city center and Vitosha Mountain. 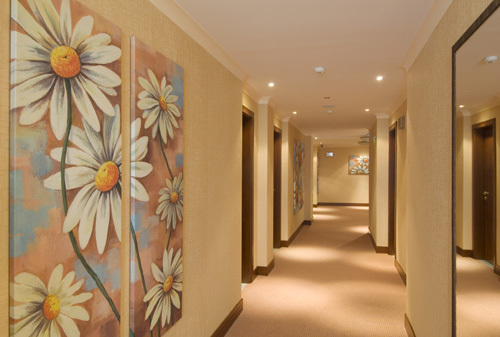 The hotel is easily accessible from Sofia International Airport (10 km) and Central Railway Station and Central Bus Station (7 km). It is situated near important state and financial institutions and the commercial area of the city. 48 comfortably equipped rooms (34 double and 14 single rooms) which offer safety deposit box, minibar, air-conditioning, cable TV, working desk, SOS button in bathroom, hairdryer, bathroom telephone, electric shaver input. The Lobby bar with its relaxing style atmosphere is an excellent place for meetings. The bar offers a rich range of drinks, snacks and desserts. Hill Hotel has 1 conference room with capacity up to 30 guests. It has all the contemporary equipment and communications that are essential for events of this type. The Business centre of the hotel provides an opportunity of using all office services - computer, printer, fax, phone, Internet.